I spend long winter nights dreaming of avocados. They are summer personified. Around here they are available in cheap abundance in farmer’s markets from June to September. Every year Anthony and I can’t wait to take full advantage. Besides guacamole, my favorite thing to do with avocados is to make salad dressing. Yes, that’s right, salad dressing. I first read about avocados in salad dressing in one of my most often-used cookbooks, 1970s-fave Laurel’s Kitchen. Both my mother and my grandmother used this cookbook. I also have an awesome friend named Laurel so the name is altogether dear to my heart. This recipe in the book is called ‘avocado dressing’ or something boring, but given my connection to the name Laurel, I call it “Laurel’s Avocado Dressing.” It’s sharp and sour from the lemons yet smooth from the avocado. I like to add dill to this but I like to add dill to just about everything. 1. Mash avocado and mix all ingredients together. Keeps about a week. I’ve tried lots of different oils in this recipe and a plain one like safflower oil or even avocado oil is preferable to a strongly-flavored oil such as extra virgin olive oil. Experiment though, to see what you like. Avocado is yielding enough to mash up into a thick liquid and love it over plain greens with carrots and broccoli. Not too long ago I decided to deviate from my normal avocado dressing recipe when I stumbled upon another dressing recipe by the venerable Mollie Katzen. The first cook book I ever bought myself was Mollie’s seminal “The Enchanted Broccoli Forest.” I was in seventh grade, a vegetarian at the time, and I never knew food could be so exciting. This recipe actually comes from her more recent book “Eat, Drink and Weigh Less.” I think it’s the most informative diet/healthy lifestyle book I’ve ever read, but it does sort of make me depressed that I don’t exercise. I can eat healthily all day long but let’s face it, I don’t get a whole lot of cardio. This recipe is more complex than the first one and quite a different experience altogether. It’s very creamy and sweet and would make a fantastic dressing for a fruit salad, should you happen to have lots of ripe fruit lying around. It’s also delicious on greens. 1. Combine OJ & lemon juice in a medium-sized bowl. 2. Scoop out avocado and add to juice. Mash with a fork until very smooth. 4. Add salt to taste & zest. Chill before serving. Now, I know you don’t really need me to wax poetic about guacamole. If you like avocados you’ve most certainly had it and probably have a recipe for it. But I think this transcends guacamole and could make a fantastic appetizer for a cocktail party or a gallery opening. The combination of blue cheese and avocados is heavenly. Deep, rich, and tangy. You don’t want to miss this. As far as the blue cheese goes, Roquefort would be the obvious choice, and Nigella does have another kind of blue cheese that she suggests but let’s face it: the woman can afford to have a pig slaughtered and brought to her house whenever she wants to bake a ham. You don’t need to find the most expensive blue cheese out there to make this. Just find some delicious blue cheese that won’t break the bank. She also suggests eating this concoction with blue corn tortilla chips. Tasty! But don’t limit yourself. I like this with the tortilla-like Mexican corn chips you find in restaurants. You can find them freshly made in small batches or you can find them mass-produced in 3 feet tall plastic bags. Hell, use any old corn chip, toasted bread, or pita wedges you prefer. When I make this I don’t add the jalapeños even though I don’t doubt that would be awesome. My goal is to work my way up into adding them in, but I’m too much of a gringa to tolerate much heat. You could also try substituting red pepper flakes for the jalapeños if you don’t want to bother with them. Combine the cheese and sour cream. Mash the avocados and add to the cheese mixture. Roughly chop jalapenos and slice scallions. Add to the cheese mixture. Dust with paprika and serve. This last recipe comes from The California Cook by Diane R Worthington. I found this book at a second hand store years ago. I made this recipe just to try it and magic happened. Diane suggests using this sauce on fish but I’m squeamish about cooking fish at home. I think this would be exceptional on grilled prawns or scallops also. An ‘English’ cucumber is simply the seedless, unwaxed variety sold encased in plastic. I’ve heard them sometimes referred to a ‘hothouse variety.’ Their skin is thin and they contain only small amounts of seeds, but regular cucumbers would be fine as well. Mix all ingredients together and serve soon after. Mash into a chunky paste and use as sandwich spread/mayo replacement. Particularly yummy with a bit of roasted garlic paste mixed in. Avocados turn brown quickly after being exposed to air but this is a cosmetic issue more than something that affects flavor. Sprinkle cut slices of avocado with lemon or lime juice to prevent browning. 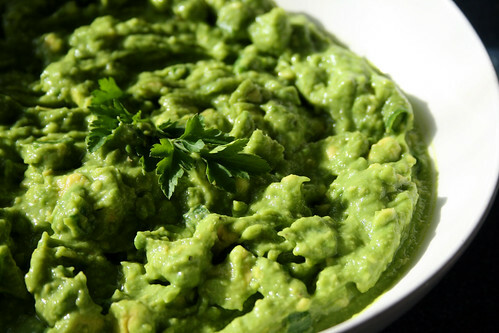 When storing mashed avocados or guacamole, press plastic wrap onto the surface of the avocados. This will form an airtight seal to prevent browning. You’ll lose some of the avocados to the film when you remove it, but it’s worth it. I’ve heard some people suggest storing avocados (whole fruit) in the fridge, but I’ve never done that. I leave them on the counter and in patches of sunlight to get as much ripening action possible before using. 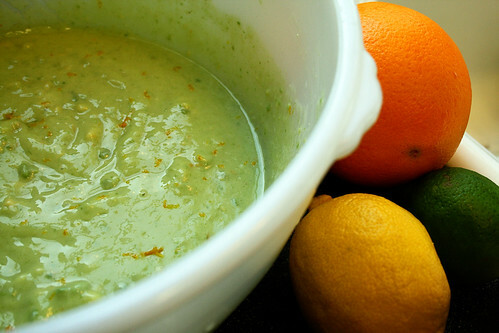 I love avocado citrus dressing.It sounds interesting and I haven’t try something like that before. I think it’s gonna be great on fish dish. Yeah well, this is an okay entry on avocados, if you like tasty, quick and simple recipes combined with practical advice and beautiful photography. WHICH I DO NOT. Your counter-post was quite persuasive. Avocado recipes might be the work of communists. Loved your tips on how to storage an avocado. 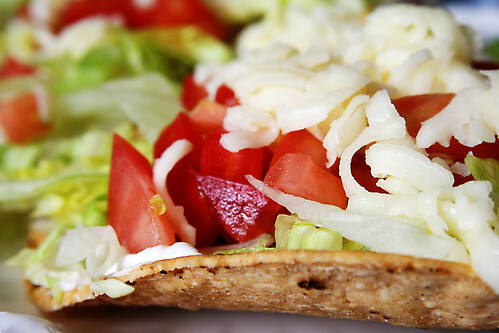 Hass Avocados are truly packed with goodness. Studies have shown that they contribute nearly 20 different types of vitamins, minerals and phytonutrients that can help your body function normally. Thanks, guacgrl! My body needs all the help it can get. Laurel’s Kitchen and the Enchanted Broccoli Forest…classics! I also had The Farm Vegetarian Cookbook which was uber-hippy and made by people who live on a commune in Tennessee.I’m totally mixing up some roquamole tonight. I’m practising my coy Nigella look now just to make it authentic. Now I’m totally curious about that commune book. Definitely up my alley.